The Southern Utah University Board of Trustees has approved the creation of two new bachelor programs, as of October 6, 2017. The Bachelor of Science in Mechanical Engineering will allow students further specialization in their education and prepare them for a highly-favorable job market. The Bachelor of Science in Aviation will provide extensive training to students enabling them for the aviation workforce. Although the state has given its approval, regional accreditation approval for both degrees is still pending. Student enrollment in the programs will begin after that approval has been received. In the 2017 Utah Legislative Session, the authorization to create new university programs moved from the state-wide regent level to a university-specific trustee level. The Utah System of Higher Education now states, “Each institutional Board of Trustees may approve new academic programs that fall within the primary role of that USHE institution.” As one of Utah’s regional universities, SUU’s primary role is to create undergraduate associate and baccalaureate programs, and select master’s degree programs to fill regional demands. The complete language may be found in the Milner/Wilson Bill SB 238. 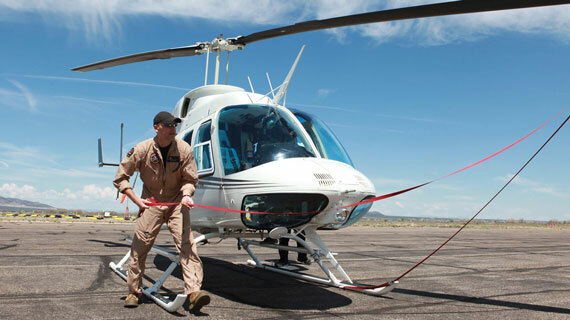 SUU’s Aviation Program currently offers an applied associate in aviation. In conjunction with their associate’s degree, students typically earn a Bachelor of Interdisciplinary Studies or a Bachelor of General Studies. The new degree program will build on the successful associate degree and will include two emphases: Rotor-Wing and Fixed-Wing. The BS in Aviation will incorporate all of the general education requirements, as well as additional aviation-specific elective courses. It will enhance the Aviation Program at SUU and further qualify students for a demanding career. The SUU Engineering Program added new faculty members with expertise in mechanical engineering allowing for the creation of the Bachelor of Science in Mechanical Engineering degree. Dr. Scott Munro, associate chair of the engineering department, recognizes the need for mechanical engineers nationally and knows prepared SUU students will meet the demand. The new degrees have been submitted to Northwest Commission on Colleges and Universities. Both degrees are expected to be available to students Fall of 2018.